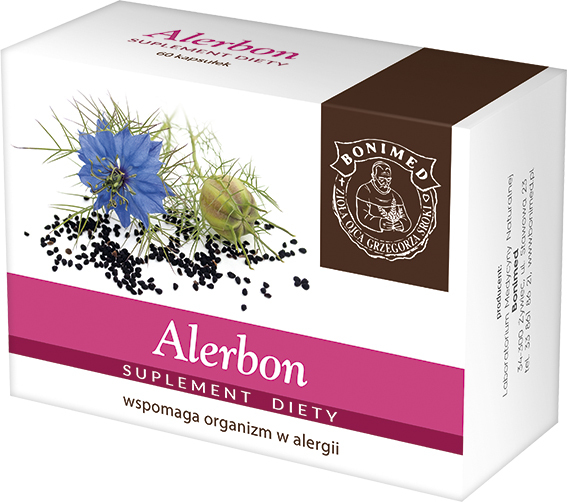 Because it contains black cumin seed oil, we recommend the product as a daily dietary supplement for anyone allergic to grass and tree pollen, and dust mites. It supports the body’s response to food allergy and other allergies. We recommend it as a daily dietary supplement to anyone who has intestinal parasites. It supports a healthy pancreas function. Ingredients: Black cumin seed oil, gelatin, glycerol. Recommended daily intake of the product (6 capsules) contains: Black cumin seed oil 3 g.
Recommended intake: Start with taking 2 capsules 2–3 times per day. After a few days, you can take 1 capsule 2–3 times per day. The effect is sometimes visible only after several days of treatment. Dietary supplements should not be treated as a substitute (replacement) of a varied diet. Do not exceed recommended daily intake during the day. Caution: Don’t use it if you are allergic to the product ingredients. If you are pregnant or breastfeeding, talk to your doctor before taking the product. The product may reduce the level of glucose in the blood serum, which may require dosage adjustment of drugs used in diabetes.